Cryotherapy has been gaining popularity all across the country lately. It uses cold temperatures to help heal the body and support wellness. Whole body cryotherapy (WBC) is similar to an ice bath, in that they are both cold therapy. A whole body cryotherapy session only last three minutes, while an ice bath lasts a maximum of 20 minutes. In a previous blog, we briefly talked about cryotherapy and why you should give it a try. In this blog, we will go over more about what cryotherapy is and some of the benefits. If you are interested in trying whole body cryotherapy, BodyPlex is the perfect place. Our full gym now offers a cryotherapy chamber that will allow you to experience this new trends for yourself. Cryotherapy, unlike an ice bath, is a dry cold. Meaning that there is no moisture, making it is more tolerable than a wet cold is, such as an ice bath. Now that you know it is a tolerable cold, we will tell you that a whole body cryotherapy chamber drops to about negative 240 degrees Fahrenheit. Yup, you read that right. But an article from The CryoBar explains how it works. The cold is created by dry nitrogen vapors, a non-toxic gas. This vapor creates cold air that flows over the surface of your skin, allowing it to do its work without freezing skin tissue, muscles, or organs. However, you will feel cold, which tricks your body into thinking that your life is being threatened by this extreme cold. This cold feeling and perceived danger makes the thermoreceptors in the skin send signals to the brain, telling it to send the blood to the core in order to maintain body temperature. This is a process called vasoconstriction. During this process, toxins are flushed from the tissues while the blood becomes enriched with oxygen, nutrients, and enzymes. Once your body begins to warm up, the now-enriched blood makes its way back through your body. Whole body cryotherapy was invented in 1970s in Japan, but has only recently made its way into the states. 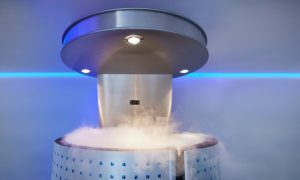 Since cryotherapy is a “newer” technology, studies are still being done to see just how effective and beneficial it truly is. While you may be skeptical, people are raving about this newer recovery method. Many people who have tried it, have made it part of their daily routine. There are many benefits that have been studied and other that are still being researched. Read on to learn more about the benefits that many people experience when they try whole body cryotherapy. Not everyone will experience similar results, but you won’t know until you try! This is one benefits that has been supported in many studies. Athletes have been icing their bodies for decades as a way to a speedy recovery. Whole body cryotherapy is a great way to get the same results in a quicker process and in a cold that is more tolerable. 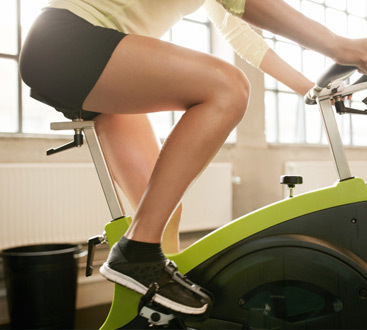 It can be used to help with athletic injuries as well and may reduce sore muscles. 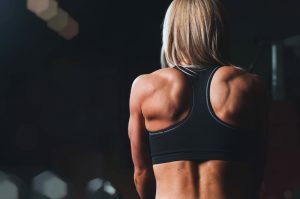 The National Center for Biotechnology Information looked at the different studies that observed the effects of WBC on athletes with either muscle damage from controlled exercise in a laboratory setting or damage from sport-specific training. 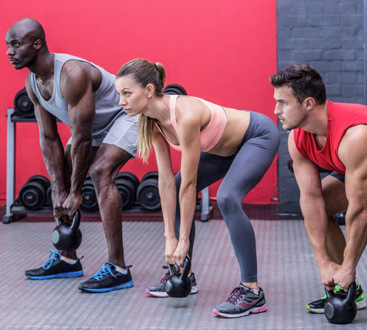 Out of 16 studies, the results found that 80 percent of them saw a reduction in muscle pain. Two of the studies also found that athletic performance was improved after whole body cryotherapy sessions. According to the National Center for Biotechnology Information, a study started using the cold chamber technology of the cryotherapy chamber in 1996. This study was designed to test is those with inflammatory rheumatic diseases would experience significantly less pain through this type of therapy. In the results, they found that pain levels decreased significantly. These effects were more short term but many patients saw it as an essential part of the rehabilitation program. In another study done by the National Center for Biotechnology Information to see how cryotherapy affects fibromyalgia. 100 fibromyalgia patients were observed in this study; 50 were given treatments of cryotherapy and 50 were not. After 15 sessions of cryotherapy, the fibromyalgia patients who underwent the treatment felt less pain and reported an improved quality of life. Some feel more rejuvenated and become more energized after sessions of cryotherapy. Others become lethargic and relaxed. The benefits of cryotherapy vary from person to person, and you may experience substantial or minor benefits from a session in the cryochamber. You will never know how this new and amazing treatment can affect you until you try it! It has been shown to be especially beneficial for those with muscle pain and inflammation. While the benefits of whole body cryotherapy are still being observed and studied, it is safe to say that most people experience some benefits after a cryotherapy session. To experience a cryochamber for yourself and see what it can offer you, contact BodyPlex Fitness. We offer cryotherapy session that may be just what you were looking for! Test it out for yourself and see how it benefits you. Sign up today for a free trial to our fully equipped gym and have access to our cryotherapy chamber.